Enjoy beginning and ending each day in this gorgeous queen panel bed. The piece brilliantly blends rustic elements, like the vibrant grain of the natural wood finish, with modern glam details, such as the sleek design and metal accents. You'll love having this bed and the atmosphere it creates in you bedroom. 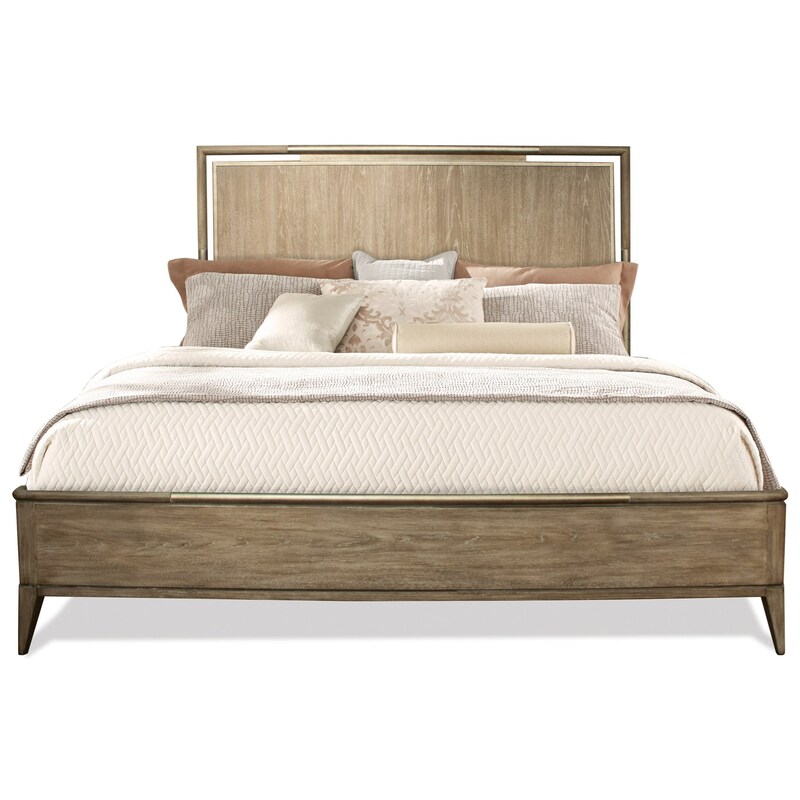 The Sophie Queen Panel Bed with Metal Accents by Riverside Furniture at Rooms for Less in the Columbus, Reynoldsburg, Upper Arlington, Westerville Ohio area. Product availability may vary. Contact us for the most current availability on this product. 50371 Queen Panel Footboard 1 63.75" 2.5" 17"
50370 Queen-Full Panel Headboard 1 63.75" 1.75" 60"
50372 King-Queen Panel Bed Rails 1 81" 1" 10.75"
The Sophie collection is a great option if you are looking for Glam Contemporary furniture in the Columbus, Reynoldsburg, Upper Arlington, Westerville Ohio area. Browse other items in the Sophie collection from Rooms for Less in the Columbus, Reynoldsburg, Upper Arlington, Westerville Ohio area.